Strikeforce has added a Woodley vs Galvao match for the upcoming STRIKEFORCE: Diaz vs Noons 2 on October. Who will have a shot for the title: the Submission World Championships medalist, or the undefeated T-Wood? A Tyron Woodley and Andre Galvao showdown is lined-up in a featured welterweight match at STRIKEFORCE: Diaz vs Noons 2. As posted on Galvao’s Twitter account, the winner of the upcoming fight will have a shot for the promotion’s 170-pound title match. However, an official statement regarding this is not yet released. Galvao, who will turn 28 years old next week, is a three-time Abu Dhabi Combat Club Submission World Championships medalist. He also earned a hard-fought third round TKO over Jorge Patino late last month. Tyron “T-Wood” Woodley, on the other hand, has been out in the spotlight since he took a split decision over Nathan Coy at Strikeforce Challengers 8. STRIKEFORCE: Diaz vs Noons 2 will be on October 9, at the HP Pavilion in San Jose, California. 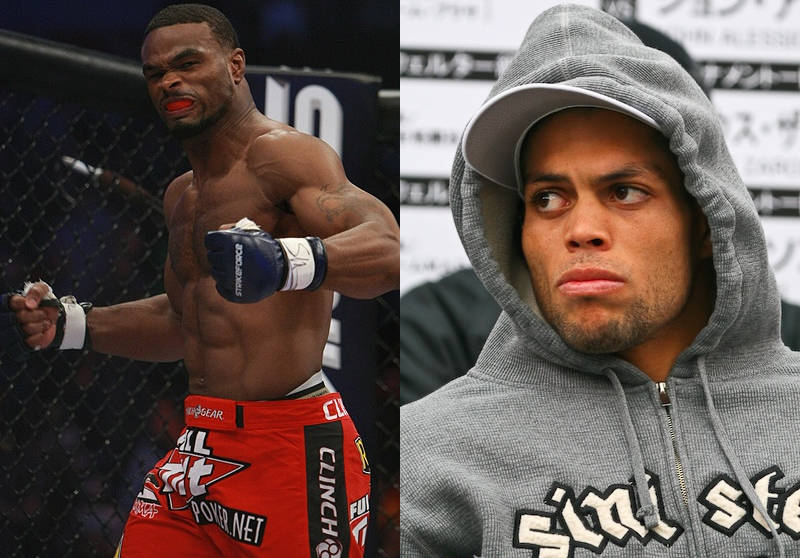 Are you Team Woodley, or Team Galvao? What's In-store for Nick Diaz?